To Err is Human……… | "Northern Crossings"
So we have had an interesting day today, (3/26/19). I woke up to the fascinating story of a British Airways plane that was supposed to go to Germany but ended up in Scotland. This is fascinating stuff and of course the answer is filing an incorrect flight plan. So I guess the double checking of destinations of passenger tickets doesn’t apply to pilots but maybe it should.. There was moment on a flight I was on when folks came on board and told us to double check our destinations. I wonder what that “beep” means when your hold your ticket to the ticket taking machine. I always thought it was the OK that I was on the right plane at the right time going to the right place. 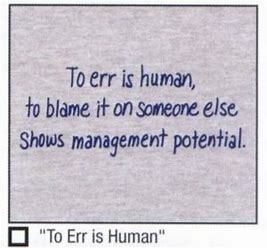 I guess I made a mistake – to err is human. Then the news came up that there has been a tremendous set back for women’s rights and dignity just after or before the International women’s day celebration which I can’t understand. There is supposed to be an all women’s space walk but it had to be cancelled because the space suits don’t fit. After being berated in the department store many times for refusing to try on pants I don’t get this. I remember hours of sitting room boredom when my mother needed to get a dress for a wedding or other female types I am acquainted with had to buy something or other. I have it on good authority that there are places where women go to try on clothes that actually serve tea, wine, petit fours and cucumber sandwiches because they know this is going to be a lengthy and accurate process. How is it possible to send women into space for the International celebration of women’s day and not run the space suits down to the local dry cleaners and do some alterations? We are talking billions of dollars to get the gals into space, get them out into the vast universe to do a walk and get them back home so we can let the world know how great women are and they didn’t include a sewing kit in the payload bay. I got a sewing kit on my last flight and I had no plans for a space walk. Oh well to err is human. Then there is the former director of the CIA, the most powerful and competent intelligence agency in the world, who came out today and announced after several times of saying that the President of the United States was a traitor and the evidence was there to prove it, that he got some bad information or that he read too much into the bad information that he got – either way – oh well to err is human. This the head of the greatest intelligence agency in the world. Or maybe that is an error too. CIA used to be, but if you listen to the networks and the Democrats it is the waskily Wussions who make us all look pretty stupid and are so smart that that they run rings around us. Even the chosen one who told Putin to “knock it off” couldn’t protect us from them. Then there is the Jussie Smolett case in which the police laid out an amazing case with a minute by minute countdown of what happened as a hoax and today the whole thing was just written or and disappeared as if it never happened. I guess the police were wrong – to err is human. Either that or we are witnessing the “Chicago Way” blatantly and visible being enacted but either way – to err is human. I am sure that I will told that I should apologize to Jussie for the blog I wrote but I think that might be a mistake.